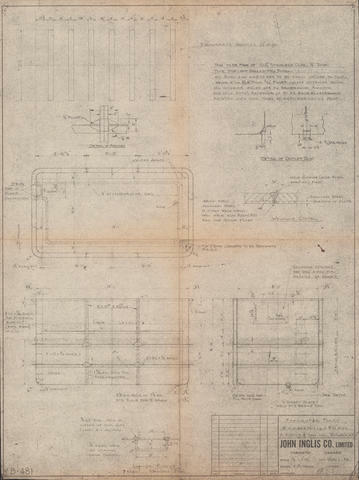 Item is a drawing of fermenter tanks for A. Keith and Son Ltd. of Halifax, Nova Scotia. The drawing shows three views of the tank, one view of concrete saddles, and details of ladder rungs, brackets, outlet clips, and welding. The drawing was produced by John Inglis Co. Limited.